Ask a question about 423 E Macewen Dr, or schedule a tour. 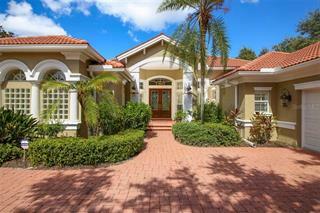 This custom built 4 bedroom Arthur Rutenberg home is set back on the “club-side” of the Oaks Club on a large, beautiful corner cul-de-sac lot. Illuminated by extensive exterior lighting, the house resembles a castle at night. As you ... more.approach the expansive 3832 square foot home, you will feel as if you are entering a park. Mature landscaping and beautiful recently manicured oak trees frame the circular driveway. 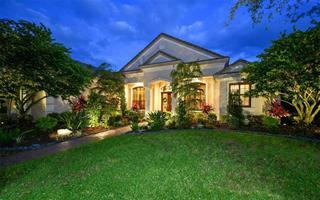 Upon entering, you will notice the impeccable craftsmanship that defines this home. 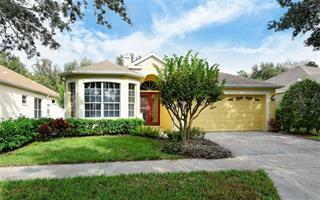 Custom built-ins, crown molding, granite kitchen and wood plantation shutters are abundant. Additional features include a resurfaced pool, whole house audio system, a 6 zone A/C system, and top of the line appliances. The generous lanai and pool look out on the fourth hole of the Heron Course. With neutral custom paint colors and wood and tile floors throughout, this home is move-in ready. 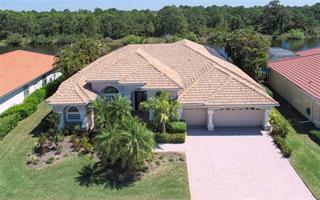 This elegantly appointed home offers you everything you would want for your Florida lifestyle. Minutes to area beaches and vibrant downtown Sarasota, the Oaks Club offers 2 golf courses, 12 HarTru tennis courts, croquet, fine dining and an abundance of social activities. Club membership is available and required.